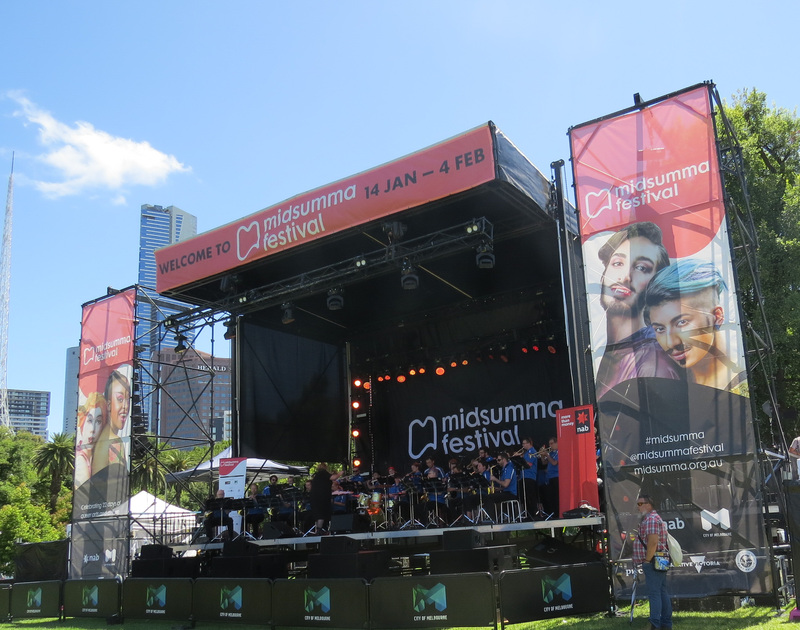 As usual, I timed my arrival in Melbourne to attend Midsumma Carnival which this year fell on Sunday 14 January. Imagine my surprise when I discovered that two of my YHA dorm-mates were in Melbourne for the very same reason. Kenton and Daniel from Hong Kong were volunteering for the event. The weather was ideal, clear sunny day but not too hot. Although there was no Vintage Men stall this year…I managed to meet up with Gordon to catch up with news of the group, of which I am an Honorary Life Member. On Monday I took the Port Phillip Ferry to Portarlington where I was met by Fr George and his wife Patricia. The short stay at their lovely house with three lively dogs was the most relaxing time of the entire trip. We visited Sorrento on Tuesday. The place has changed a lot since I stayed there a few years back. The High Street is flourishing with a wide variety of shops and restaurants. 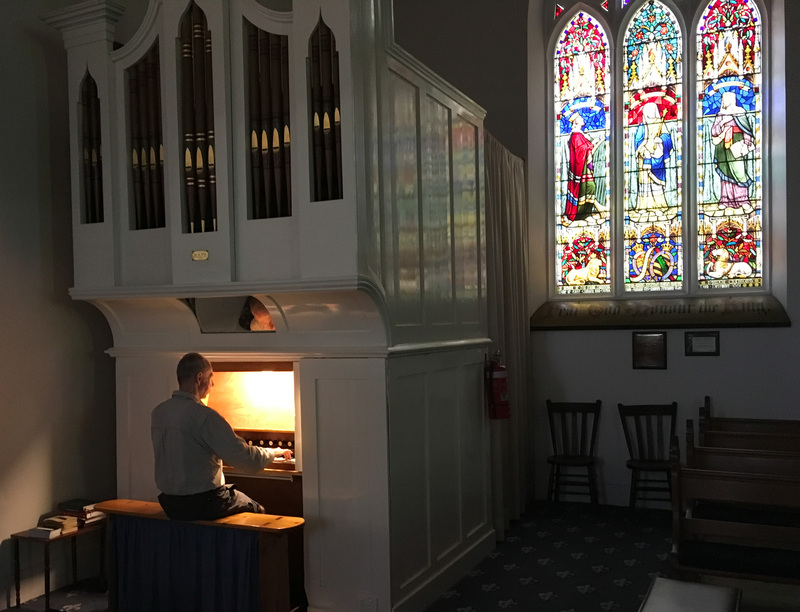 George used to be Vicar at the parish church which we visited…and where I took the opportunity to play some simple improvisations on the delightful single manual organ. 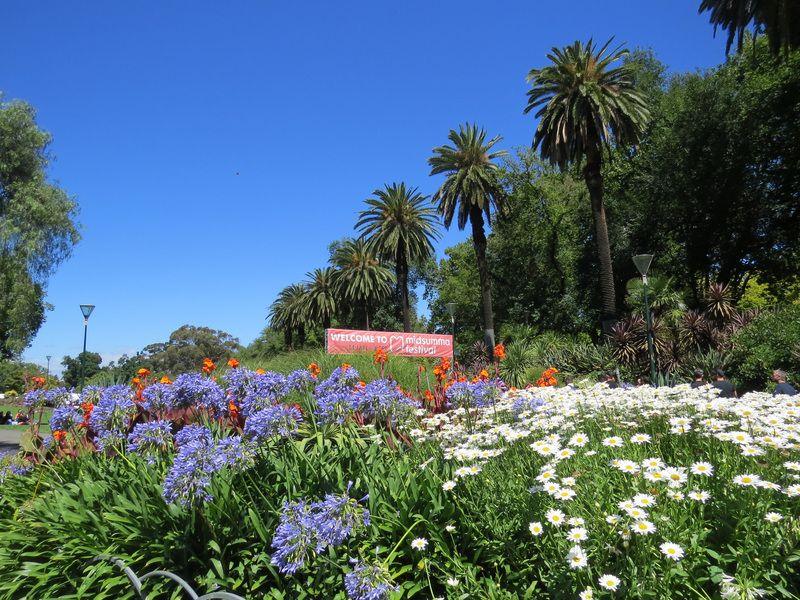 An early flight to New Zealand made an overnight stay close to Melbourne airport. It is also meant shortening my stay with George and Patricia. 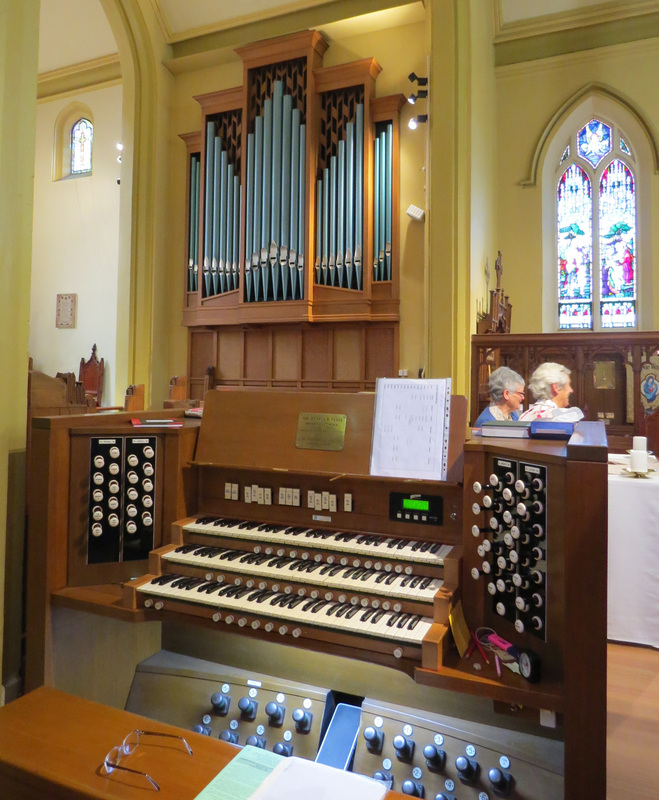 As the locals say ‘no worries’…we just adapted the planned attendance at St Paul’s Geelong which has a fine three manual organ as part of my return journey to Melbourne. Wonderful! Well not quite. When the hotel receptionist asked for the time of my flight to Auckland…it transpired I had booked the wrong day. Unbelievably, I the outwards and return flights were for the same day Monday 22 January. What a disaster! My phone had a UK sim card…so I rejected the advice to call Virgin Australia. Instead, I went to the airport to see if they had a desk open. They did! The staff were most helpful and only charged me a small administration fee. So I was able to return to the hotel with a revised flight schedule and book a shuttle place to the airport for Thursday morning.